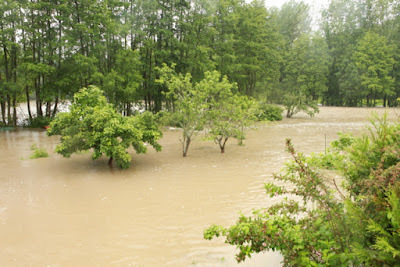 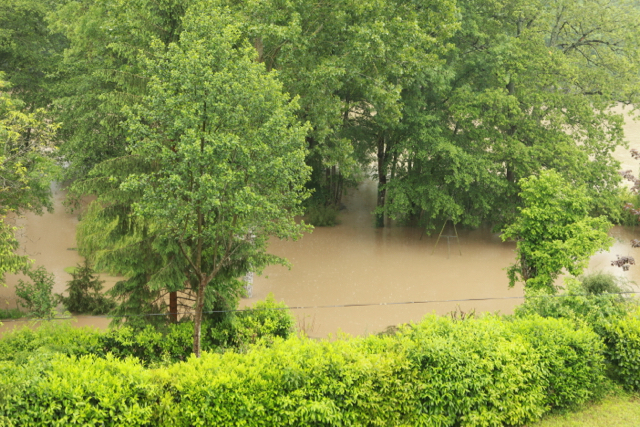 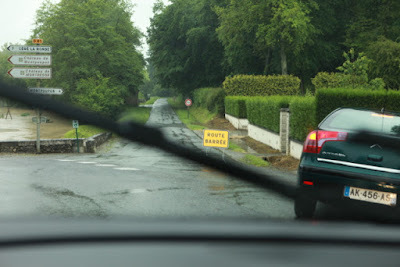 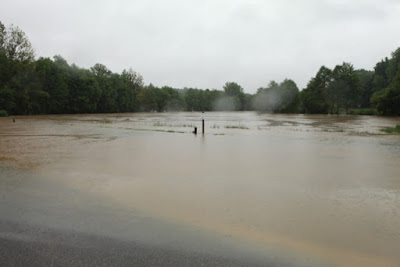 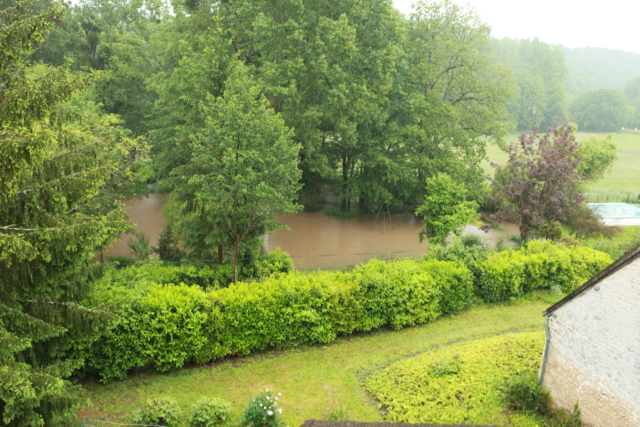 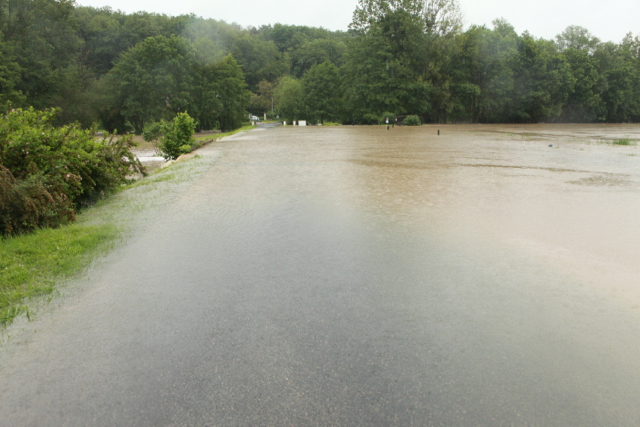 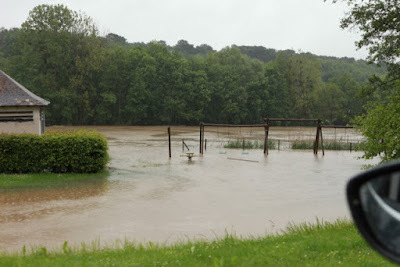 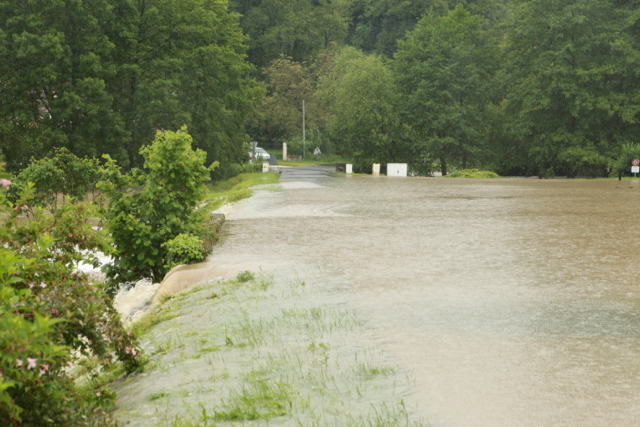 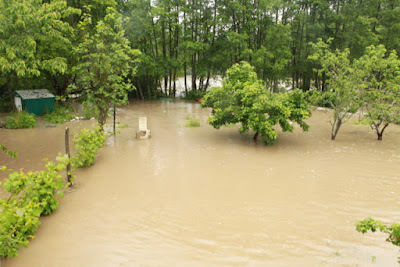 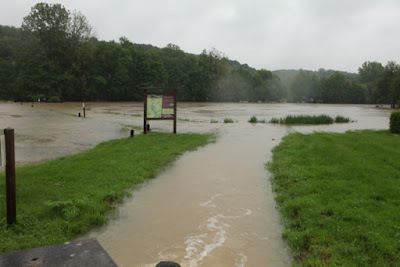 Almost continuous heavy rain since around midday on Sunday has caused the Epeigné-les-Bois' plan d'eau to overflow and make the D81 between Epeigné and Cère-la-Ronde impassable. 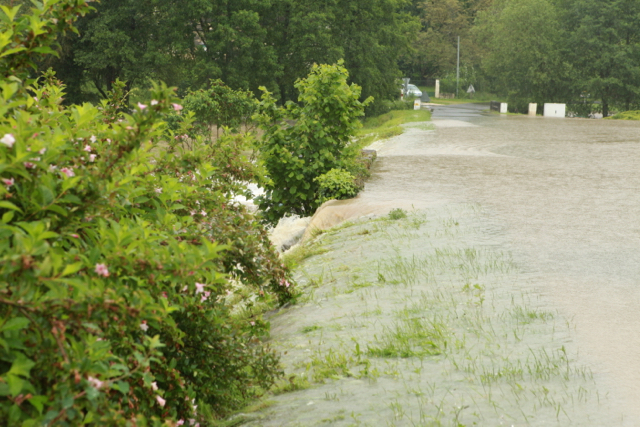 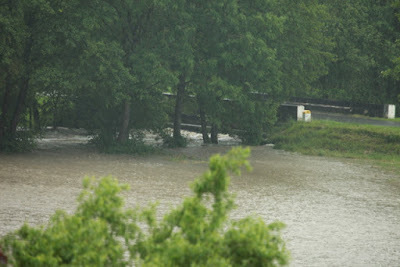 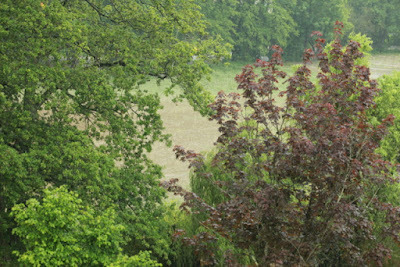 The heavy rain has caused flooding and with some landslips in Chissay and Loches and elsewhere. 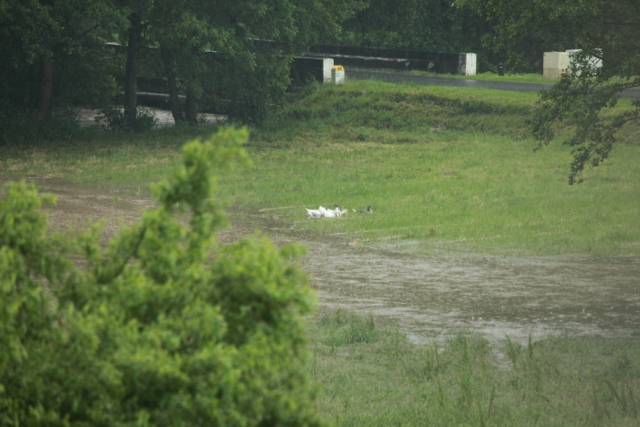 Water rising quickly in the water meadow – now up to the D81 to Céré la Ronde. Speaking to producers at Vitiloire on Saturday it was possible to get a little clearer picture of the effects of this year's frosts at the end of April. 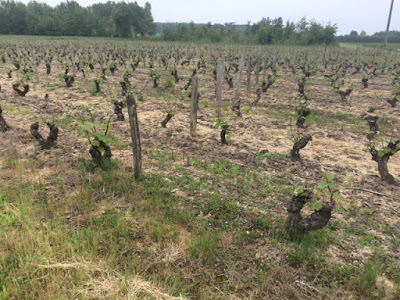 Although the night of 26th/27th April saw the worst frost there were a succession of frosts from the 17th/18th April through to the end of the month. 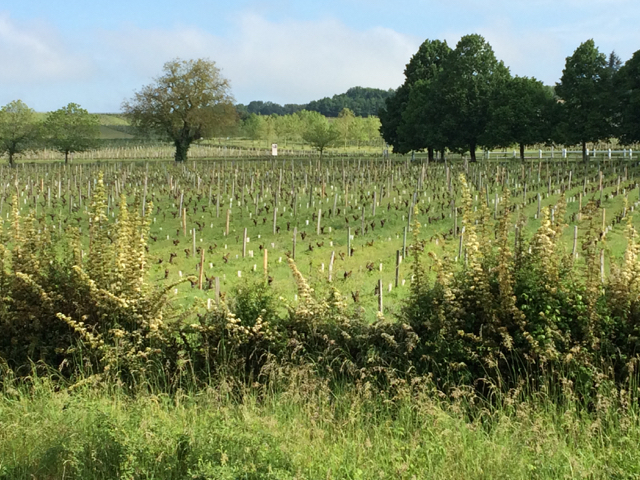 Jean-Pierre Gouvazé of InterLoire told me that 70% of this year's crop remained. This reinforces that the April 2016 frosts are not at the same destructive overall level as 1991, when the Loire made only a third of normal. However, some appellations and their producers have been very seriously hit to the extent they have virtually lost their crop. 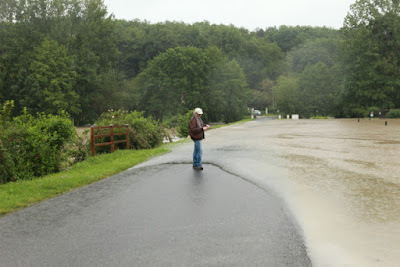 This year the picture is much more variable than it was in 1991. Overall it would seem that Anjou was not badly hit. 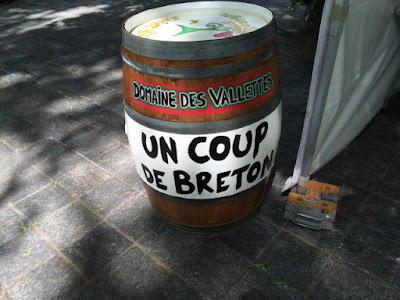 Victor Lebreton (Domaine de Montgilet (Juigné-sur-Loire) said that his loss was around 10% and that the northern part of Anjou around Brisssac-Quince had not been badly affected. 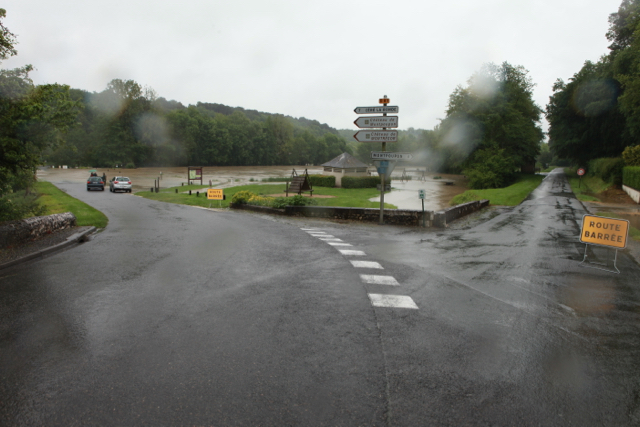 However, parts of the Layon, for example Champs-sur-Layon and Saint-Lambert-du-Lattay, had been more affected. 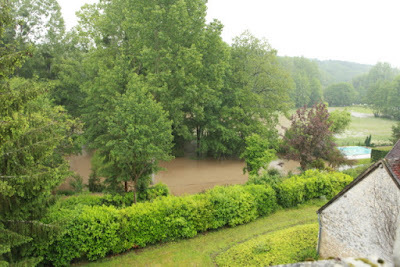 In Saumur Philippe Elliau, Domaine de la Fuye in Le Puy Notre Dame, told me that this part of Saumur had not been affected. 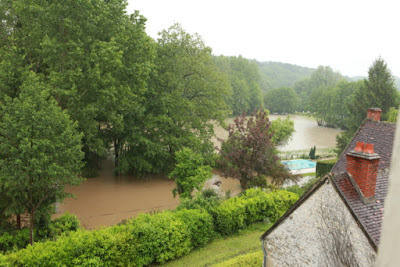 In Saumur-Champigny the damage is more significant around Varrains, Chacé and Saint-Cyr-en-Bourg than in the communes, like Parnay, along the Loire. 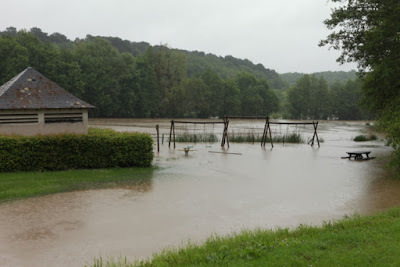 There was further confirmation that a substantial part of Bourgueil, Chinon and Saint Nicolas-de-Bourgueil were very badly affected, especially the flatter parts like the gravel vineyards of Bourgueil and Saint-Nicolas as well as Cravant-les-Coteaux and Panzoult in AC Chinon. 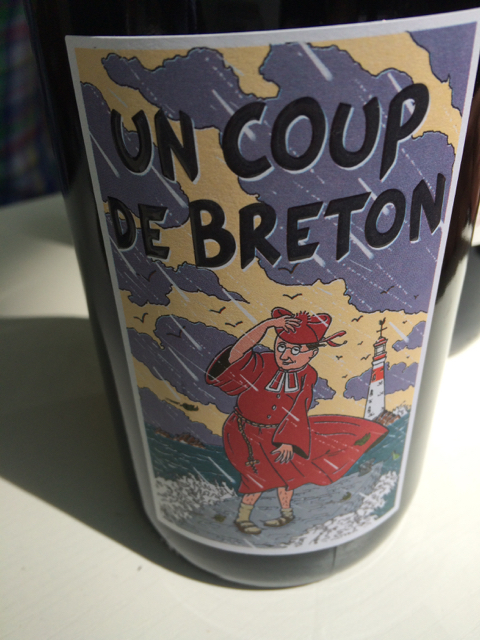 Whereas Bertrand Couly (Pierre et Bertrand Couly) told me that with their vines around Chinon they had escaped. 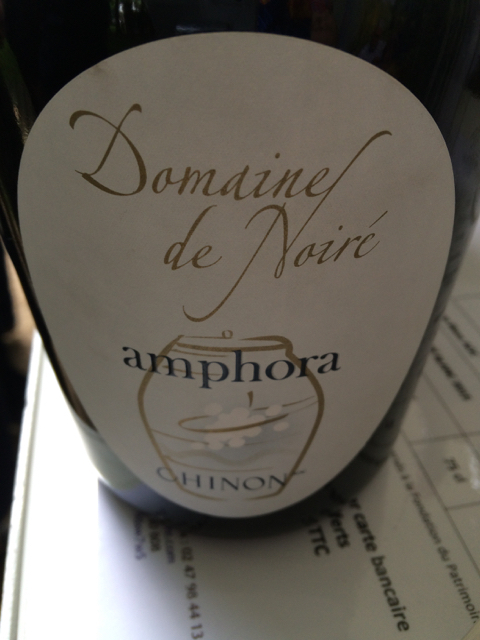 On the south side of the Vienne Ligré Eric Santier (Domaine Dozon, AC Chinon) told me that there was little damage – 10% or less. 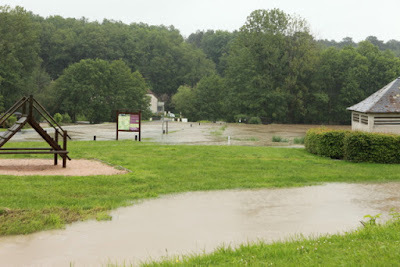 Vineyards around Parcay- Meslay in Vouvray were also serious affected, although overall Vouvray seems to have been less affected than Montlouis, where the damage is worst in the southern part of the appellation around Saint-Martin-le-Beau. 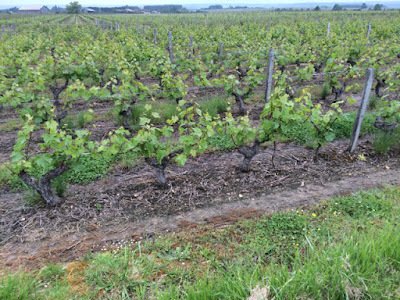 In the Cher damage is again irregular with some severe damage on the north side of the valley around Chenonceaux and Civray-en-Touraine – see photo of vineyard close to Chenonceaux at the beginning of this post. 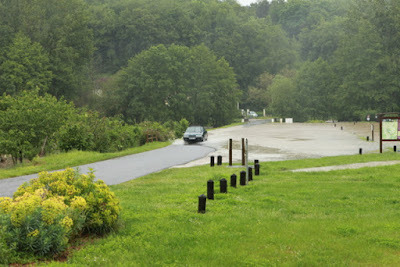 Further east in the Cher Valley Jérôme Sauvète in Monthou was hit, while Joël Delaunay at La Tesnière, Pouillé wasn't affected at all. 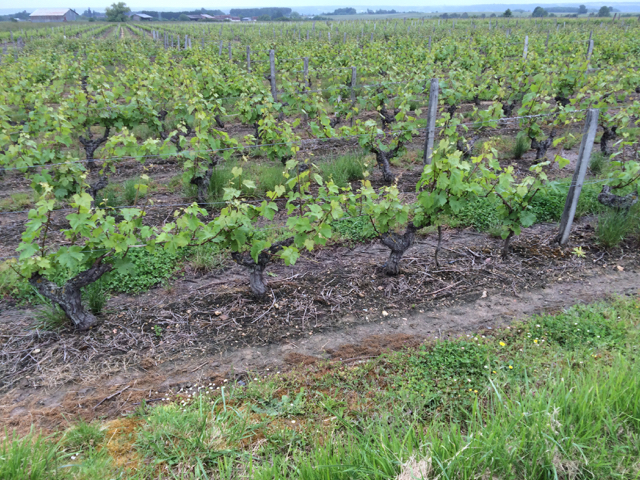 Benoît Roumet, director of Les Vins du Centre Loire, confirmed that Coteaux du Giennois, Menetou-Salon and parts of Pouilly-Fumé had been badly hit. 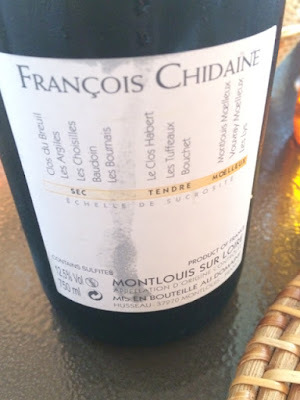 Quincy was less so, especially where they had wind machines installed, while Châteaumeillant had not been affected because budbreak is later here. Philippe Boucard (Lamé Delisle Boucard) said for those hit badly it will be complicated to buy in grapes unless they have a 'carte de négoce' as a recent decision by the Conseil d'Etat upheld the demand by the négoce that grapes can only be bought by holders of a carte de négoce. Unfortunately the bad weather news isn't over as there is now the threat of hail with very unstable conditions around as May bows out. 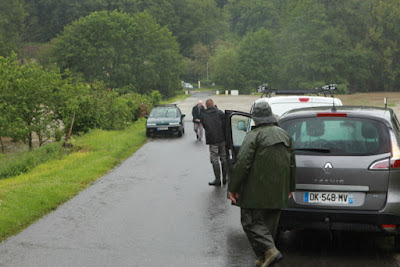 Romain Paire, Domaine des Pothiers in the Côte Roannaise was hit by hail on Saturday morning (28th May) as were parts of Chablis and Saint-Bris. 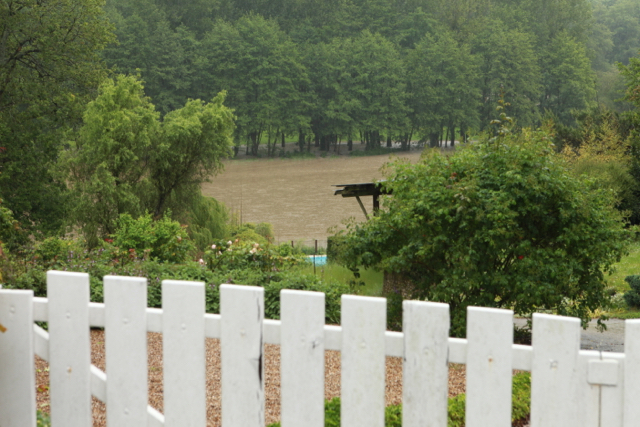 Today we held the annual lunch of Les Huîtres Pétillantes, the company we formed in order to buy the house in Epeigné-les-Bois back in 1987. 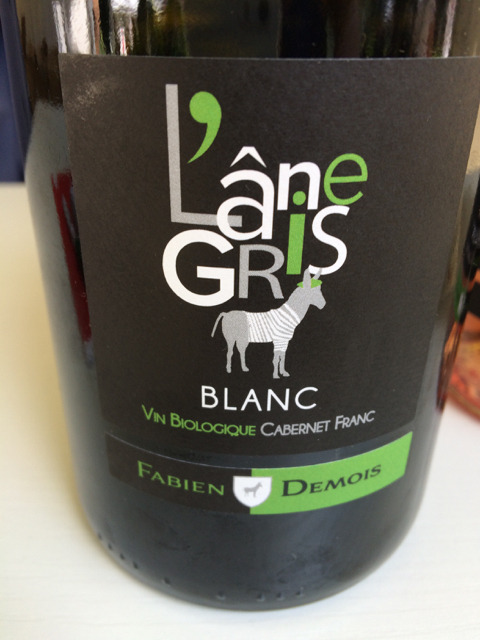 This year we chose Le Clos de Jeanne in Genillé. We had an execllent meal and were very well looked after by Bernadette Auroy – the owner along with her husband Alain, who is the chef. For our apéro we chose the 2015 Noble Joué from Rémi Cosson. 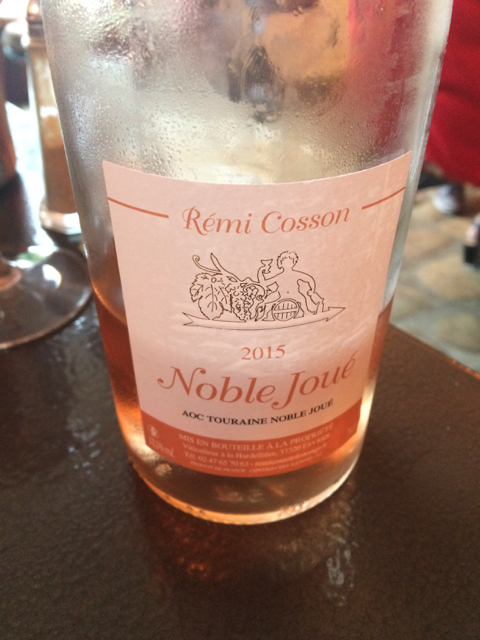 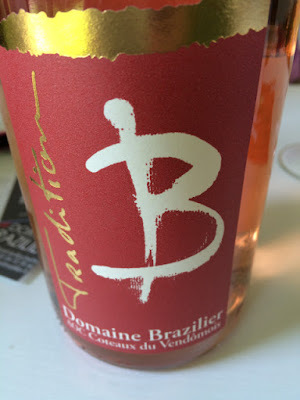 Made from three Pinots – Gris, Meunier and Noir – this delicately coloured rosé has attractive red fruits along with good, crisp acidity. 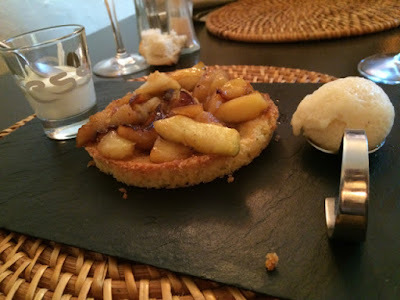 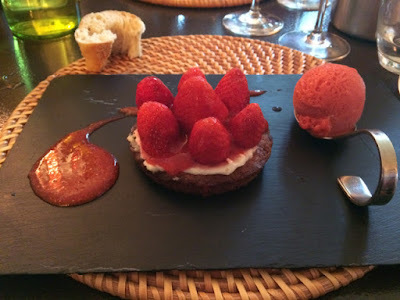 Because we were a group of eight we understandably had a restricted choice of dishes, particularly as today was the Fête des Mers so the restaurant was busy. 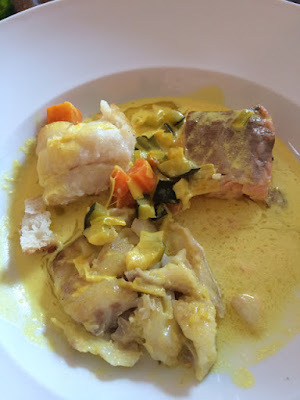 For our entrées we had a choice of asperges gratinés au parmesan et jambon cru italien or dariole de crabe, tomates-cerise, mesclun et crème ciboulette. 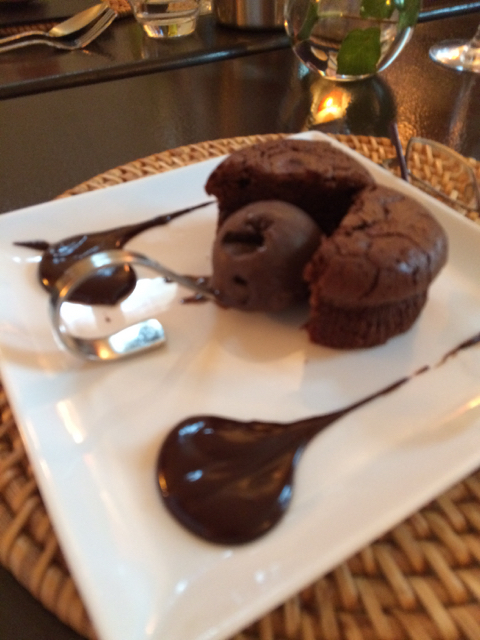 Unfortunately I was hungry and forgot to take photos of these but my asparagus was very good. 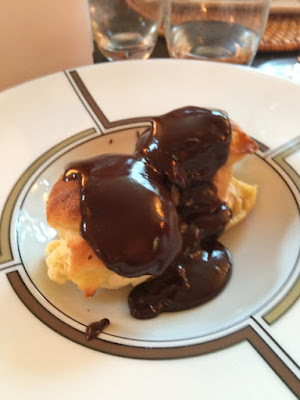 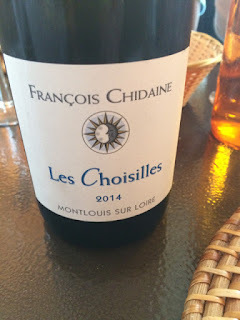 With this course we enjoyed the 2014 Les Choisilles, Montlouis Sec from François Chidaine. Beautifully balanced with rich complex fruit from this very good vintage – underlining the quality of Chidaine's wines. 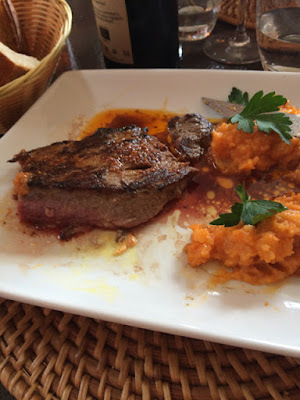 Main course choices: Pièce de boeuf 'Angus', beurre au piment d'Espelette, mousseline de pommes de terre au paprika (above) or marmite de la mer à la sauce safranée, brunoise de légumes de saison. The marmite had salmon, cod and julienne. 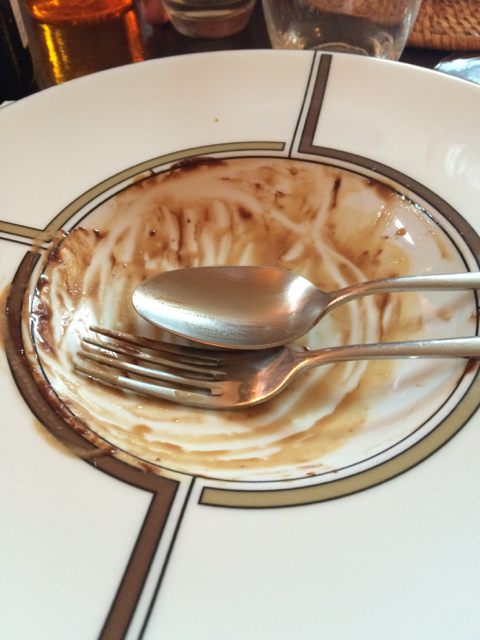 Both dishes were excellent. 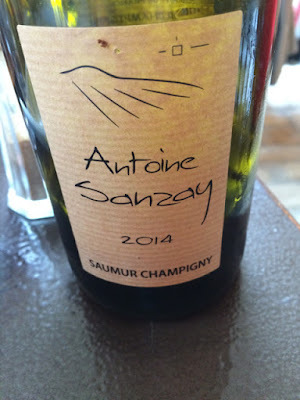 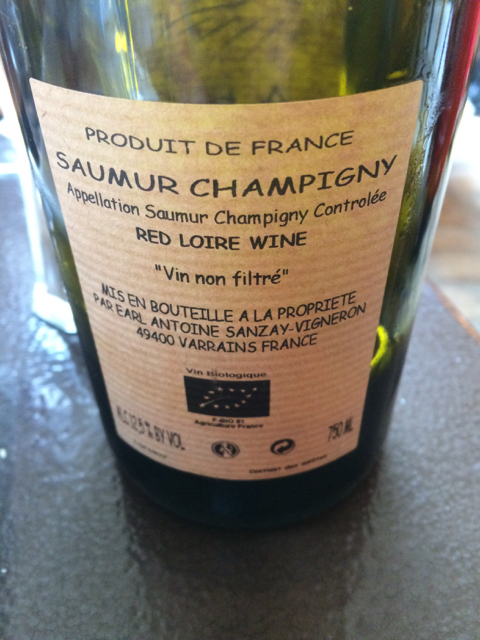 Our red option was the delicious 2014 Saumur-Champigny from Antoine Sanzay. 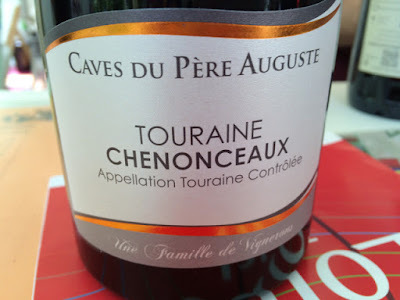 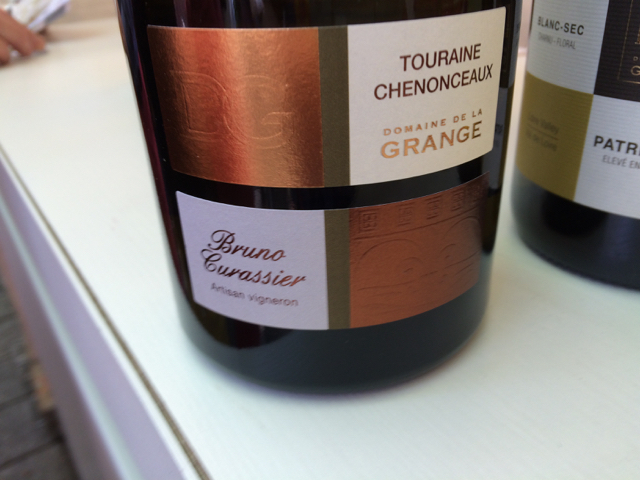 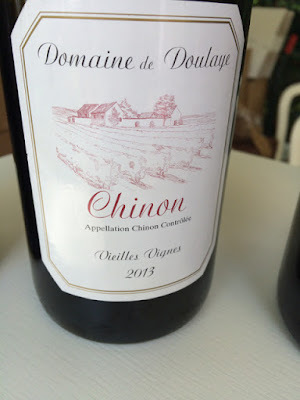 Antoine has made several lovely cuvées in 2014 and this one is particularly impressive for being Antoine's straight domaine wine. 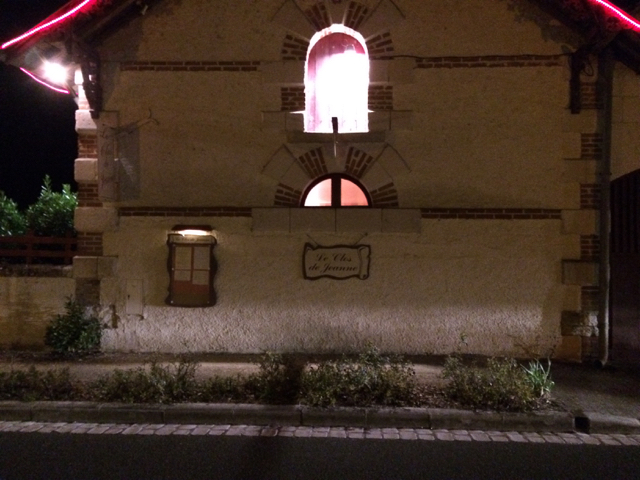 I spent a few hours at VitiLoire in the centre of Tours today having caught the train from Chenonceaux into Tours. Waiting for the train at Chenonceaux it was noticeable that many of the vines in the vineyard next to the railway looked as though they were still in the middle of winter with no sign of growth. 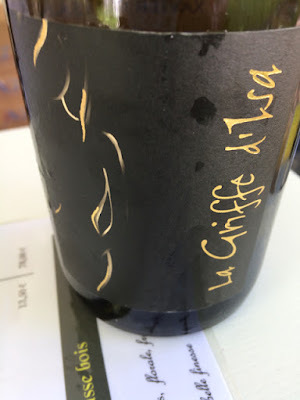 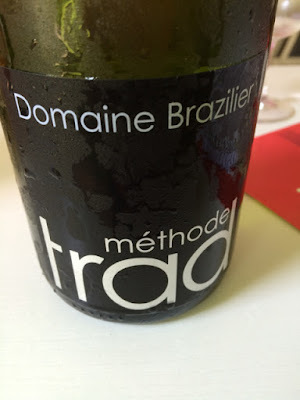 Producer in Thore la Rochette with 25 hectares – 40% Pineau d'Aunis, 25% Chenin, 15% Cabernet Franc and 10% of a range of other grape varieties mainly used in the sparkling wine.